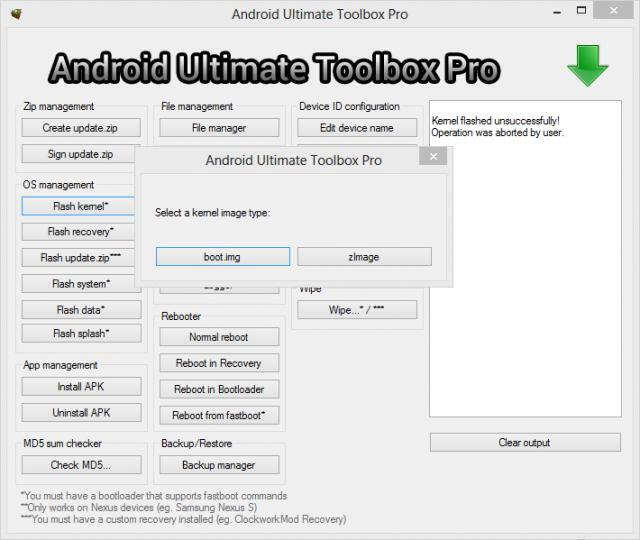 Android Ultimate Toolbox Pro is a free app developed by Aleksandar Despotovski and allows you to flash your Android device. This application allows you to perform tasks such as flash carnels, flash recovery images, flash update.zip flash system images, flash data images, flash splash images, install APKs (system and user), unpack APKs, repack APKs and sign Apks. 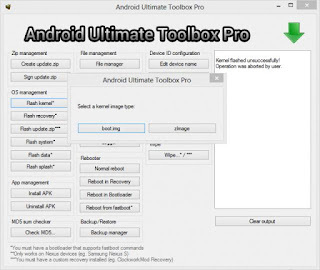 Android Ultimate Toolbox Pro can also transfer files between phone and PC, sync phone data, and back up and install APK files.